Have you ever wondered what it is that motivates your dog? Why do they want to cuddle? Why do they sometimes listen, and sometimes not listen? Training your dog means learning how to understand your dogs motivations, and to help you and your dog see eye to eye. Your retriever needs a reason to sit when you say sit and to walk calmly by your side when you go out together. Sometimes your dog will do what you ask because they simply want to please you. Sometimes exuberant praise and lovin’ is enough. And sometimes it’s not. That’s why many trainers turn to food rewards to motivate the dogs they work with. 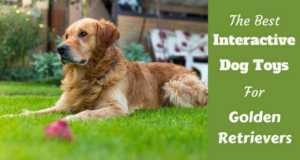 Golden retrievers are great candidates for positive reinforcement training using food rewards. They catch on quickly, are eager to please, and are incredibly food motivated, as I’m sure many of you can attest to. A pouch of kibble can work wonders for your training regime, but not all treats are created equal. 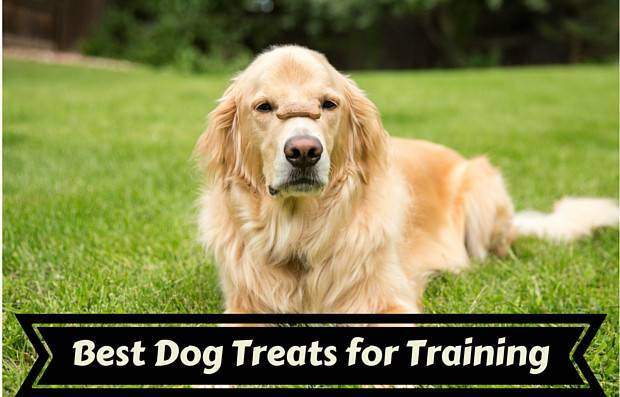 In this article we discuss the best dog treats for training, pouches for holding them with convenience for you top priority, along with some tips for using training treats successfully. 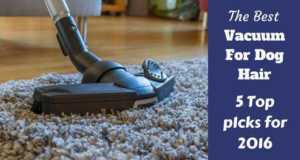 *Some of the above links lead to current prices and customer reviews on Amazon. 1 What Makes a Perfect Training Treat? 6 What Are The Best High-Value Treats For Dog & Puppy Training? What Makes a Perfect Training Treat? When it comes to dog training treats, you’ll soon find your dog has definite likes and dislikes. You may need to experiment a bit to find something that works perfect for you and your dog depending on your training techniques, but there are a few requirements to keep in mind. You’re using pet treats to reinforce a desired behavior, so the most important criteria is that your dog finds them tasty. They should also be low in fat, since you’ll use a lot of them, and they should be small, so you can dole them out with minimal fuss and no fear of over-feeding. Lastly, training treats need to be sturdy — you don’t want them to crumble into oblivion before you can get them out of your treat pouch. When using treats during training, timing is everything. If you ask for a behavior, and your dog complies, give them a treat immediately (within seconds), along with lavish praise. Your dog will begin to associate the command with the wanted behavior and the treat. While your dog is learning a behavior, give them a treat every single time they obey your command. As your dog becomes more proficient, you can become more picky, only rewarding them for a quick, perfect response. If you are just starting out with a brand new skill, you will have to use your treat to lure your dog into position. Simply hold a treat in front of your dog’s face and slowly move it right over their head while saying “sit”. Your dog will follow the treat with their eyes, usually sitting in the process. As soon as they sit, give them a treat and lots of praise. They’ll have it down before you know it. Just be sure to keep in mind that a lure is usually only necessary when teaching a new command, and should be discontinued once your dog is reliably complying with your request. Low-value treats are used for most training applications, but especially when reinforcing commands your dog already knows, working in low-distraction areas, and walking on familiar streets. Many trainers use regular dog food as low-value treats. The important thing is that your dog will work for them reliably. If you and your dog are working through heavy distractions, or your dog is have trouble following commands, you may have to up the ante. High-value treats are more enticing, and are therefore used for challenging situations. Low-value treats are tasty — high-value treats are delicious. If your dog is responding sluggishly, not paying attention, or simply struggling to stay on task, switch to high-value treats to up their motivation. Don’t use the same treats all the time. Make note of what really excites your dog and change it up accordingly so your dog never knows what to expect. Pet your dog when you give him a treat. Your dog will start to associate your touch with the reward, which will raise its value. If you are ever caught without food rewards, your touch will be enough. Don’t overdo it. No need for a pudgy retriever. If you use a lot of treats during training, cut back on your dog’s evening meal. Phase out food rewards when your dog is nailing the command most of the time. That’s when the treats should be a bit more sporadic. Keep your dog guessing, but always offer praise for a job well done. There are some behaviors that you should be sure to consider training in your dog, even if its not yet a problem. Separation anxiety: Some dogs cannot deal with you being away all day, so you will want to train them to understand that you will come back. Socialization: Many dogs have a hard time getting along with other dogs and other animals. Socialize your dog from a young age to avoid this. Puppy socialization is especially important! Puppy classes for behavior training are a great idea for this. Grooming: Dogs in training should be taught how to behavior while being groomed. A good dog will have good behavior while in this stressful situation! Paws: Many dogs do not like having their paws touched, so it’s important to find training methods that will help them to get over this fear. Barking: Most owners expect that their well behaved dogs will not bark. Train your dog about when it is and when it is not okay to bark. Excessive barking can become a bad habit quickly, so make sure to teach your new puppy good manners. Puppy training: You should get your puppy into an obedience training class from a young age with a good dog trainer. This will make sure they learn important commands and skills with you. Training your puppy takes time, so get help from the experts. Biting: If you are having a problem with your dog or puppy biting, it is important to get dog trainers involved as soon as possible. Work with them and your pooch to learn how to teach your dog that biting is not okay. Veterinarian: As with grooming, it’s important to train your dog to be comfortable with your vet. All dogs have some discomfort at the vet, so take extra time with this. The veterinary is a scary place for them, too! Chewing: Many dogs, especially puppies, have problems with chewing on shoes, leashes, and more. 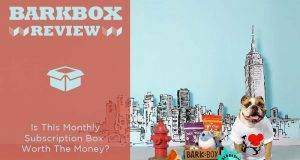 Training your dog not to chew will save your sanity and save you money! Dogs in training classes tend to have less behavioral problems than a dog with little or no formal training. Dog behavior depends on more than dog owners, but all dogs should get some training. Canine behavior can be very hard to understand. If your new dog has behavior problems or you are in need of dog training tips, considering hiring a professional dog trainer or behaviorist to help fix your problems. This is especially important if your dog is exhibiting serious aggression. What Are The Best High-Value Treats For Dog & Puppy Training? High-value treats are the ones your dog will do anything for, and every dog will have their own preferences. Human food — meat, chicken, fish, cheese, sweet potato, and peanut butter, make excellent high-value treats in moderation, but don’t always work in a treat pouch. Here are some great choices for distracting situations or rewarding your dog for going the extra mile when you are training a dog. 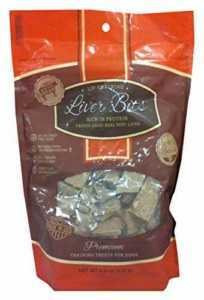 This is 100% freeze-dried liver. No additives. No fillers or preservatives, and 50% protein in every bite. 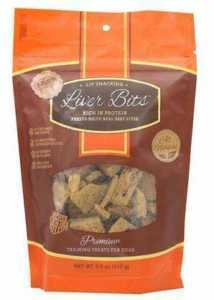 Dogs go crazy for these biscuits, and if you mix them with low-value treats, your whole treat pouch will smell like liver. They won’t be able to avoid your training tips when you’re offering these treats! 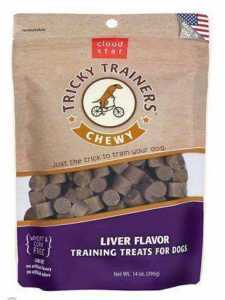 Your whole treat pouch will smell like liver. Is it worth it? Test them out on your dog and decide for yourself. We certainly think they are…and so will your dog! Wondering how to train your dog without them gaining weight? These treats are the answer! 100% pure Icelandic Haddock with just 1.1 calorie per treat. These small, heart-shaped treats are chewy, moist, and addictive. Bonus: trained dogs and cats adore them too. These treats are just as stinky as the liver bits! There are only 8 ingredients in these chewy treats, and they are all wholesome and natural. 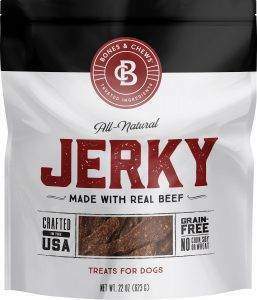 Dog obedience training will get much easier when you have these, because they just love the smell, the taste, and texture of it. 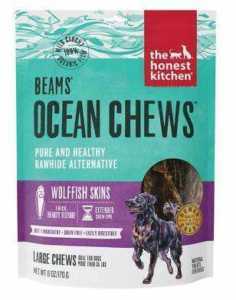 They contain no preservatives or fillers and they’re actually not that stinky, which is awesome for the humans doing the training. Also, it’s made in the USA, so you can be sure of its quality. 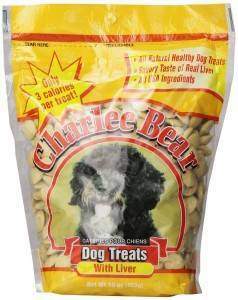 Charlee Bear treats come in a huge assortment of flavors so it’s easy to keep your dog from getting bored, and with just three calories per treat, you don’t have to worry about feeding your dogs too many. They have no preservatives, artificial color, or sugar, and they’re super sturdy, small, and crunchy. They are made in the USA with all-American ingredients. They just might be the perfect training treat, except they don’t ship to Europe. Yet. These soft, chewy treats are certainly drool-worthy. They come in a bunch of flavors, and are wheat, corn, and soy-free. These could almost be used as high-value treats, and they would actually be perfect mixed with the Charlee Bear Treats mentioned above. Zukes are another low-calorie treat option that has been around awhile. Many trainers swear by them, and they don’t contain wheat, soy, or corn. 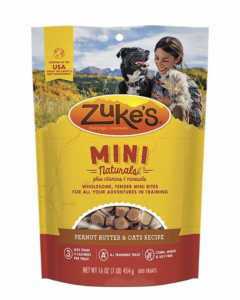 Zukes is owned by Purina, but the treats are made in the USA with American sourced meat. The venison and rabbit in the treats both come from New Zealand. 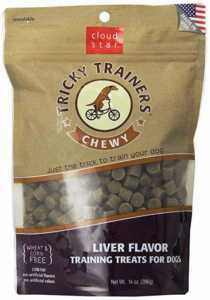 They are a softer treat that digests easily for dogs with sensitivity issues. Once you find the right mix of high and low-value treats, it’s time to find the perfect treat pouch to carry them. They come in all kinds of colors, sizes, and styles, and many have extra pockets for toys, keys, and plastic bags. Here are the best of the best. After going through dozens of pouches in my quest for the perfect one, I began asking other trainers what they use most often. This is the pouch that came up time and time again. 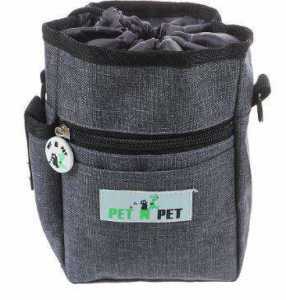 It features a hinged closure that helps you hold the treat bag open for easy access during a training session. 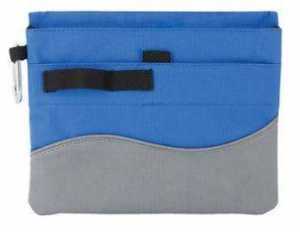 It has a smaller pockets inside to separate high-value treats, and comes in black, blue, and red. It attaches to your belt or waistband with either a sturdy clip or belt loops. This is the longest-lasting treat pouch I’ve used – six months so far, and it’s still in great shape. 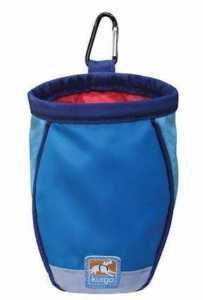 This treat pouch is small and unobtrusive, with a mesh pocket on the front for plastic bags. It’s got a drawstring closure and a carabiner for attaching it to your belt. It’s not the easiest to open and close on the fly, but it stays on your waist really well with the supplied carabiner. It’s a great little pouch for impromptu training sessions, but it might actually be too small for the biggest of hands. The Pet ‘n Pet is good for all-day training sessions because it holds a lot of treats. It comes with a waist strap and hooks for extra stabilization. A zippered front pocket is perfect for keys or cash, and the fabric washes up easily. I find this pouch a bit large for most applications, but that’s a personal thing. Men with bigger hands need a larger pouch and the extra capacity is great for those mega-training sessions. Using treats as a reward during training helps your dog to establish good habits and respond quickly to commands without becoming overly stressed or anxious. Whether you have leash or off leash tendency, treats always help with leash training in particular! 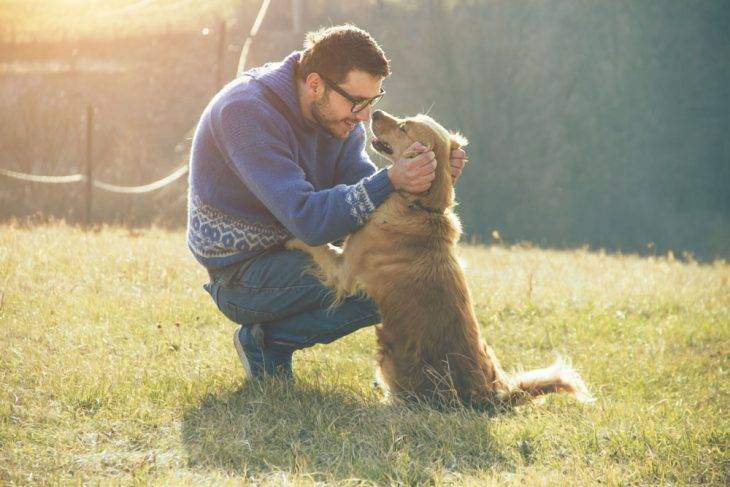 When you reward the behaviors that you want to see, offering praise, touch, and treats simultaneously, you will also be building a trusting and loving relationship with your golden retriever that will last a lifetime.